Landscape painting is seldom a straightforward description of observed nature – rather it is a projection of dreams and idylls, as well as of escape and refuge from human turmoil. 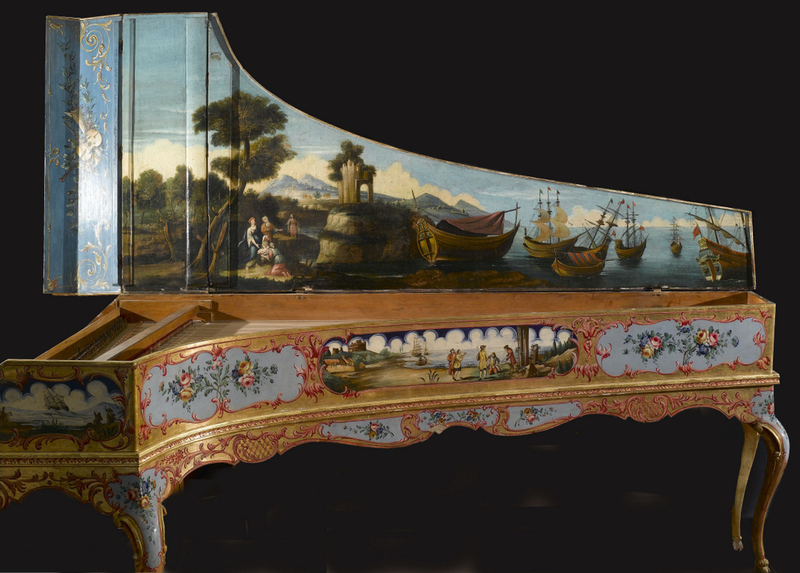 Harpsichord lids were often painted with landscape scenes. On this one there is a scene of Moses in the bulrushes under the main cover. Paintings of ships and mountain scenes as well as floral arrangements decorate the rest of the instrument. This harpsichord was made in Florence in 1782 by Vincenzo Sodi. Only five of Sodi's harpsichords are known to have survived and this is the only one in Britain. When distant cultures met for the first time, the encounters often provoked wonder, awe, bafflement and fear. The meetings sparked great artistic energy on both sides. In the first age of globalisation in the 15th century, trade links were a crucial motive for contact and by the late 18th and early 19th centuries the East India Company controlled much of the Indian subcontinent. Keen to exploit and export valuable natural commodities, the Company set out to record the flora of India. 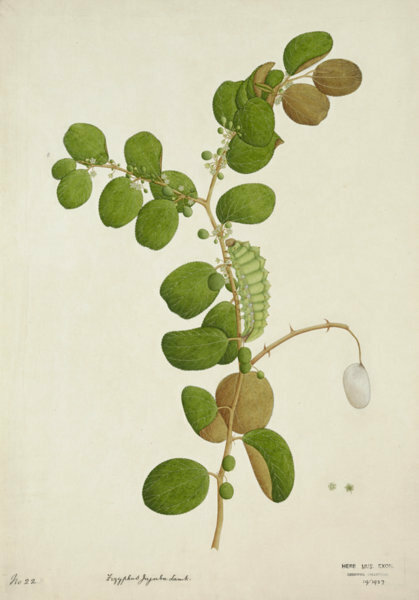 To create a more permanent record and provide illustrations for lavish publications on India's flora, the East India Company commissioned Indian artists to create detailed botanical drawings. Art and creative imagination have played a crucial formative role in the forging of humanity itself. As time passes, the elements of civilisation are assembled – written language, codes of law, and expressions of warrior power forged in metals. These objects often held deeper meaning for civilisations and their survival demonstrates their symbolic importance. 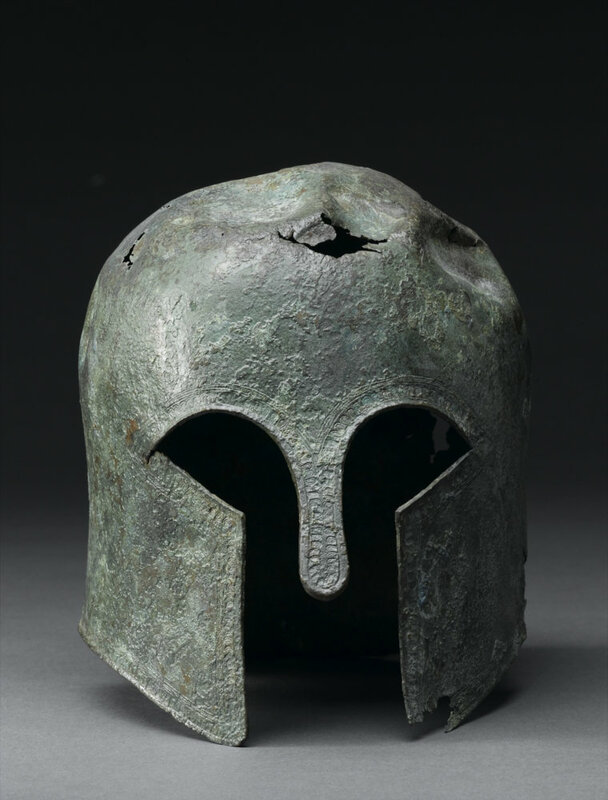 Helmets were often ritually destroyed when their owner died and so this one's survival is unexpected. It is likely to have been displayed in a temple, possibly to mark the Battle of Marathon. Such displays were symbols of triumph and thanked the gods for a successful military campaign. Advances in knowledge and technology imbued 19th-century Europeans with a sense of their civilisation's superiority. Artists had a deep fascination with other cultures and during this period Egypt was hailed as the birthplace of Civilisation. Archaeological finds were increasingly being sent to European museums and were displayed in the Enlightenment spirit of learning for the education of a wider public. The coffin and cartonnage of Shep en-Mut was gifted to RAMM in 1897. The decoration and inscriptions show she was a married woman, and the daughter of NesAmenempit, who is described as a 'carrier of the milk-jar'. The Renaissance owes much to Arab scholars who recovered the lost classics of antiquity of science, mathematics and philosophy. Sparks of creativity were ignited through competition across borders, as well as across time, as artists tried to better the work of the ancients. Decorating a room with an overmantel like this demonstrated a knowledge of classical stories which was important for rich merchants, keen to show off their education and learning. The scene shows the beauty of three Greek Goddesses: Hera, Athena and Aphrodite being judged by Paris, a Trojan mortal. Medieval people believed that jewels had the power not only to emit light, but to transport them from an earthly existence to the immaterial world of heaven. Stained glass windows were immense expansions of jewel-like radiance, allowing members of congregations to glimpse paradise. Windows like this one by an Exeter maker, were intended to create a sense of awe. 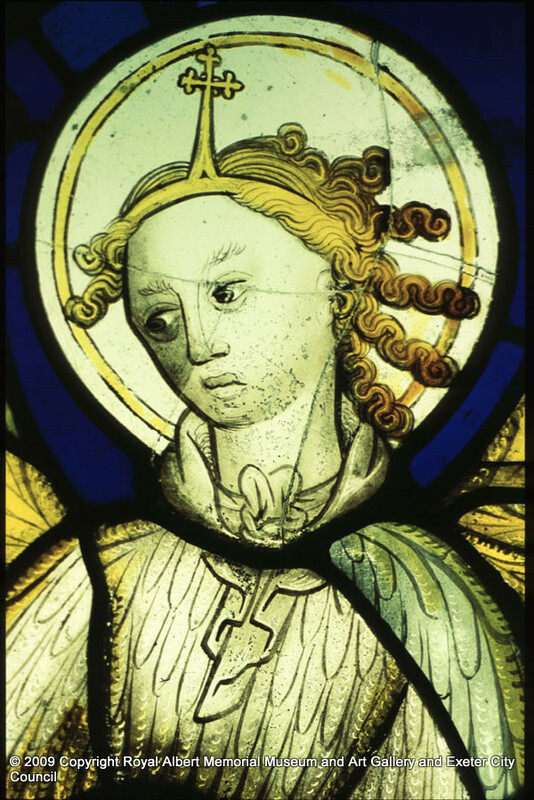 The angel must have been part of a larger stained glass window and may have been intended for Exeter Cathedral. We do not know who made it, but several windows have been linked to it by the style of hair, wings and feet. Colour as the symbol of the divine was an idea common to different civilisations across the globe, not just the Christian church. Art has been used to bring the human and the divine together, but this has not been done without controversy, conflict, danger and risk. Religious art is not only confined to places of worship, but can be found on the body, in the home and on the street. 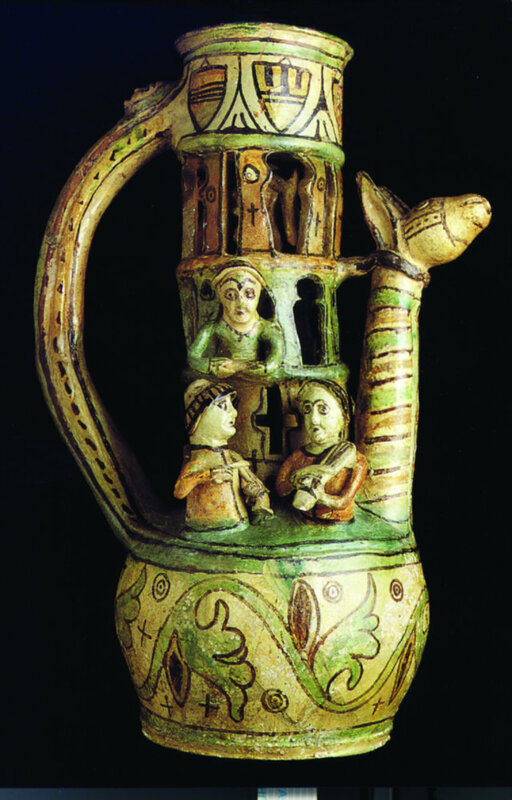 The Exeter puzzle jug, one of the most extraordinary pieces of medieval ceramics to have been discovered in northern Europe, depicts two naked bishops, while buxom wenches hang out of the windows and musicians play around the base. The scene seems to poke fun at the morals of medieval clergy. When civilisations first made art, they made it about themselves, often to depict images of how we should be. Although we do not know the Kingsteignton figure's purpose, it may be a symbol of fertility, a religious idol, a gift to the gods or even a child's toy. 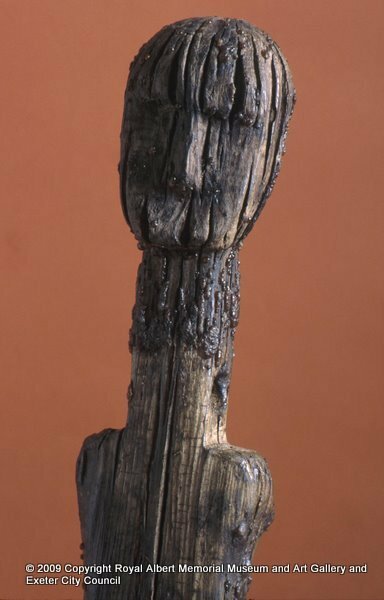 The wooden figure has been radiocarbon dated to between 426 BC and 352 BC and so comes from the Iron Age. Wooden human figures from this period are incredibly rare, with only six other finds known in Britain. Originally, it would have had arms and maybe even clothes. In a century of war, revolution and profound technological and social change has art become a way of re-envisioning the world? Or merely just a fashionable commodity for the rich? Artists of the 20th and 21st centuries began to tear up the rules of art and instead explore abstract modernism as a rescue from the numbing routine of daily life. 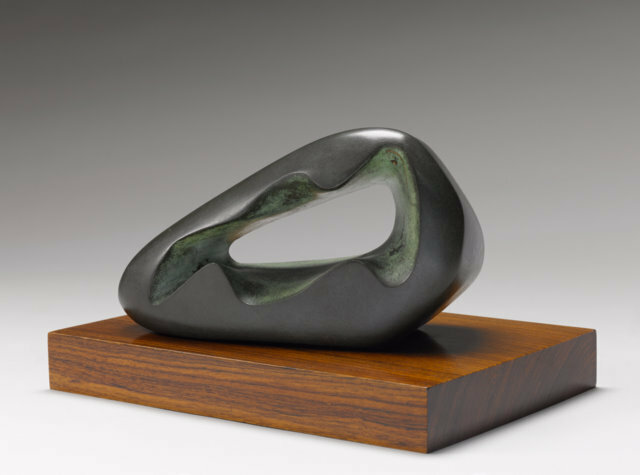 Barbara Hepworth's work exemplifies modernism, as her abstract sculptures aim to escape the industrial world by representing the Cornish landscape. The hamlet of Zennor, close to her home in St. Ives, Cornwall, was said to be the inspiration for this work. Copyright (c) 2019 BBC Civilisations. This website is licensed and operated by BBC Civilisations.